Everyone! FeelUnique UK is offering up a FREE 24pc Skincare Beauty Bag worth over $266.00 when you spend $199.50 (£150) or more on skincare sitewide. THANKS Jess for this lovely goody bag! This post may contain affiliate links. Read the full disclosure. Most Expensive Beauty Gifts Ever Given from Harvey Nichols UK – Harvey Nichols Goody Bag 2019 available now. From March 26, 2019, with any $200 (£195) purchase get a free Spring Beauty Gift Bag 2019 worth over $845 (£750)! Here are the links, prices and quick summary of each item in the Harvey Nichols Goody Bag 2019! This post may contain affiliate links. Read the full disclosure. You’ll love the new Harvey Nichols beyond beauty discovery set– $280 value. Plus, new Ulta after dark beauty break, 25% off sitewide at Walgreens and new Tom Ford 24K Lip Blush Lipstick plus GWP updates. Harvey Nichols UK (NEW) 15-piece Harvey Nichols Beyond Beauty Discovery Set $‌56 or 50 GBP, A $280 value! This post may contain affiliate links. Read the full disclosure. This March 2019, Space NK UK will host their Space NK UK Goody Bag Event! You’ll receive a massive Space NK Spring Beauty Edit gift bag filled with beauty products! Non-official spoilers are here! This Space NK UK Spring Beauty gift 2019 is worth waiting for – you’ll squeal with delight– only at SpaceNK.com/UK. Space NK NDulge members normally have early access before everyone, sign up for free here. Previous Space NK goody bags sell out in less than 24 hours or 2 days. The Space NK UK goody bag normally ships worldwide including to the US. UPDATE 3/12: The Space NK UK gift bag will be available on February 13, 2019! This post may contain affiliate links. Read the full disclosure. I like the new Ulta Platinum and Diamond Perks 2019 today. Plus, in a few hours we’ll be able to purchase the Space NK Selfish Mother Beauty Bag contains 6 goodies! Space NK UK (NEW) Space NK Selfish Mother Beauty Bag is packed with best-selling beauty products worth £90, but is priced at £50. From every sale, £5 will be donated to Refuge. This post may contain affiliate links. Read the full disclosure. 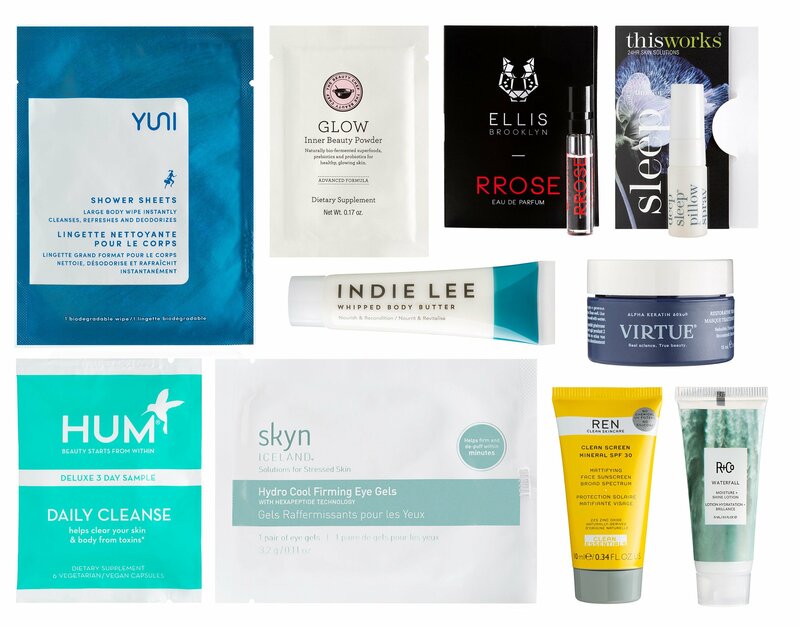 Cult Beauty Spring Goody Bag 2019 with any £175 ship worldwide still available + new freebies. Plus, Mugler Perfume Friends & Family Event 2019 – get 20% off + 5 free samples + free shipping on everything on the site! Cult Beauty – Receive Deluxe Trio of a Lip Gloss in ‘Toffee’, Liquid Lipstick in ‘Ashton’ and Clear Brow Gel when you spend £50 on Anastasia Beverly Hills + free shipping entire month! (4d) Cult Beauty Goody Bag 2019 — Get a free 23pc Cult Beauty Spring Goody Bag 2019 with any £175 for EU shoppers or approx. $191 for non-EU shoppers purchase. It’s containing 23pc gift, worth £350! This post may contain affiliate links. Read the full disclosure. First Space NK UK beauty event 2019 has begun. Get £15 off any £60 purchase for your Valentine’s Day gifts! Bluemercury has free full size palette with mascara or primer purchase! Plus, Barneys New York Infinite Rewards event live now (includes all beauty)! Space NK UK (NEW) Space NK Beauty Event 2019 Explore New Beauty – get £15 off any £60 purchase – no code needed. This post may contain affiliate links. Read the full disclosure. First time ever! The Cult Beauty Starter Kit — Cult Beauty 12-piece goody bag is available now at Cult Beauty – ships worldwide! Plus, Cult Beauty 30% off holiday sale, free full size gift with 100 GBP sitewide purchase and 29 more free gift with purchase! Cult Beauty (NEW)(VERY HOT) GIFT 1: GIFT 1: Free 12pc Cult Beauty Goody Bag with any first 50 GBP purchase – worth over 100 GBP. This post may contain affiliate links. Read the full disclosure.